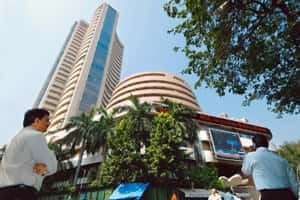 Mumbai: Experts do not see a happy year-end for Indian stocks, with the government cutting its economic growth target and admitting to having overstated exports. While the European Central Bank (ECB) has agreed to extend loans to banks in the region for up to three years and ease collateral requirements, thereby increasing liquidity, the issue of sovereign debt continues to linger as it has not committed to buy back more government bonds. “The problems of sovereign and banks’ solvency remain," said Manish Sonthalia, vice-president and fund manager, Motilal Oswal Asset Management Co. Ltd.
High volatility has been the flavour of the season and is only expected to increase in the coming days. The last two weeks’ trade is testimony to high volatility as the key equity indices swayed to the global news flow. For the week ended 2 December, the Sensex and the Nifty recorded the biggest weekly gain in more than two years as optimism ahead of the EU summit, a sharp drop in domestic inflation and positive US jobs data lifted sentiments. Last week, the markets reversed the direction with the Sensex losing 3.76%, or 633.37 points, to end Friday at 16,213.46 points. The broader Nifty of the National Stock Exchange of India Ltd (NSE) slid 3.63%, or 183.45 points, to close at 4,866.70 points. The indices have been swinging widely. NSE’s volatility index VIX, a gauge of risk and fear in the market, was up 3.32% at 29.35% on Friday. While optimism ahead of the EU summit—that leaders will arrive at a clear solution to fix euro zone’s debt worries—fuelled a rally in global stocks late last month through early December, some academics remain cautious. “This is the right time to ask the big question: what has gone wrong with the Western civilization?," Harward University professor Niall Ferguson, author of The Ascent of Money, told Bloomberg TV last week. “We are watching Europe crash and burn… Although it is bad in Europe, what worries me is that some of those problems we are seeing in Europe could cross the Atlantic and that’s been my preoccupation." According to technical analysts, even if the Indian markets stage a brief bounce-back rally taking a cue from the Dow Jones Industrial Average and the European indices, which closed Friday with gains, it may not sustain as both global and domestic issues continue to weigh. “Initially you may see a bit of stability, but domestic triggers remain weak. I don’t think they (European leaders and ECB) have any concrete plans. The can (of worms) is still hidden under the carpet," said Vijay L. Bhambwani, a technical analyst. He expects the Nifty to face resistance at 5,050 levels in the case of a pull-back rally. On the downside, he expects the index to retest the 4,700-4,650 levels. With the government trimming its growth projection to below 8% last week and admitting that exports for eight months through November were inadvertently overstated by $9 billion, fears of a wide trade deficit—that were already weighing on market sentiments due to a weaker rupee—have grown stronger. While crude prices have risen 14.16% this year, inflating the country’s import bill, the domestic currency’s purchasing power has slid, widening India’s trade deficit. The rupee has lost 14.1% in the year so far against the dollar and ended at 52.04 on Friday. The government on Friday lowered its growth target for this fiscal year to 7.25-7.75% from 9% earlier and said it will not be able to meet its fiscal deficit target of 4.6%. Increasing subsidies burden, higher borrowing and lower tax collections are all expected to widen the gap between the government’s expenditure and income. At a time when global asset managers are allocating country-specific funds for the year ahead, developments such as these could hurt India’s prospects of inviting foreign investments into the stock markets, say experts. “As a growing economy, India would have received huge inflows amid all the global turmoil. But we are losing the opportunity. They (foreign investors) are worried about growing fiscal deficits, (and the) lack of decision-making at the policy level as highlighted by the recent failed proposal for foreign direct investment (FDI) in retail," said C.J. George, chairman and managing director of Geojit BNP Paribas Financial Services. The government dropped plans to allow FDI in multi-brand retail last week, following countrywide protests fuelled by fears that the move may kill small businesses. “Such instances are sending negative message to international investors," George said.